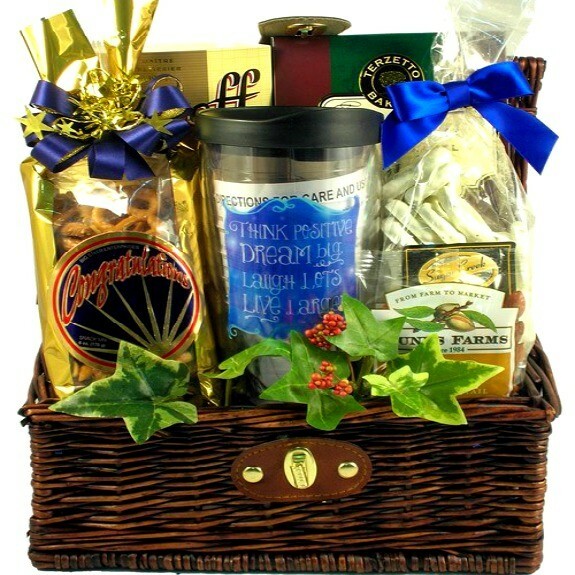 Send this handsome Think Positive, Dream Big, Laugh Lots, Live Large gift basket arrangement to celebrate any event or special achievement. Celebrate some of life's best achievements with a gift basket. This gift arrangement makes the perfect gift to help celebrate any event going on in their life such as a wedding, retirement, graduation or any special achievement. They will be thrilled to receive this handsome gift whatever the occasion.